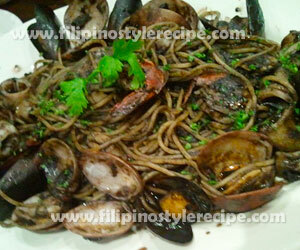 Filipino Style Recipe: Pasta negra or ink pasta is another seafood-pasta dish that commonly served in restaurant. 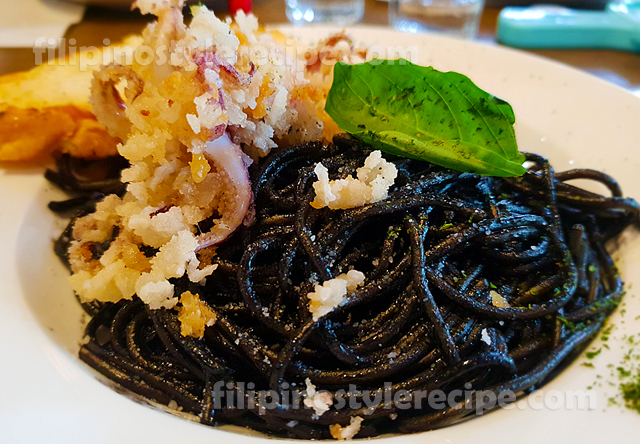 This dish is made of spaghetti pasta, squid and ink sac cooked and toss together until blend. Sometimes we add chili flakes, clams, shrimps and basil. 2. In a bowl, add squid, vinegar and salt then set aside. 2. Add squid, ink sac, soy sauce and cornstarch then simmer for 5 minutes. 3. Add mussels, shrimps and parsley then adjust seasoning according to taste. 4. Add spaghetti and half of cheese then toss. 5. 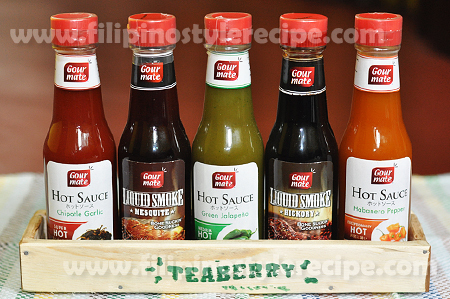 Transfer to serving plate then arrange seafood and top with parsley. 6. Sprinkle with remaining grated cheese and serve immediately.